Burdock is one of those plants that you love and appreciate once you get to know him. 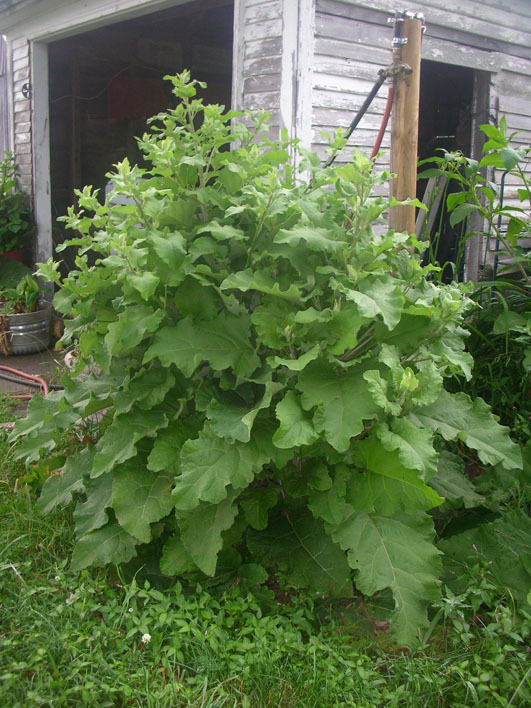 If you don’t know anything about Burdock, you will probably be very disgruntled about his presence in your garden. Burdock is a biennial, taking two years to complete his life cycle. He has rather large, handsome leaves, similar to the popular elephant’s ear landscaping plant but during year two, he puts up a stalk that grows thistle like flowers which turn into burrs and can become a long haired nightmare. Ever get a Burdock burr tangled in your hair or discover one in your pet’s? Then you know exactly what I’m talking about. And, if you never have, well, Burdock is the original Velcro, his hooked seedhead giving the creator inspiration for creating the hooked fabric. 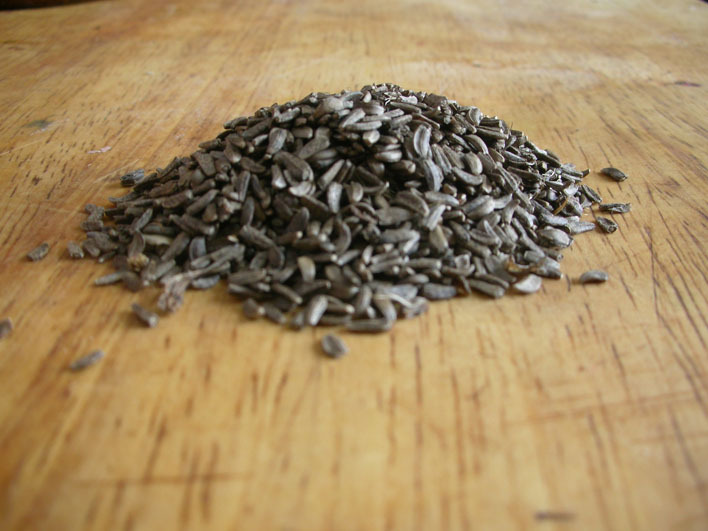 Medicinally, most parts of the plants can be used: the roots, seeds and leaves. 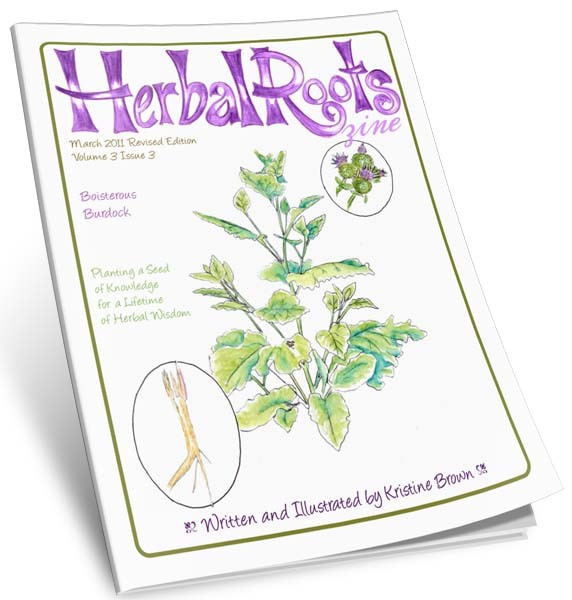 His roots, leaf and flower stalks are also edible. The roots are viewed as slow acting, working long and deep in the system. 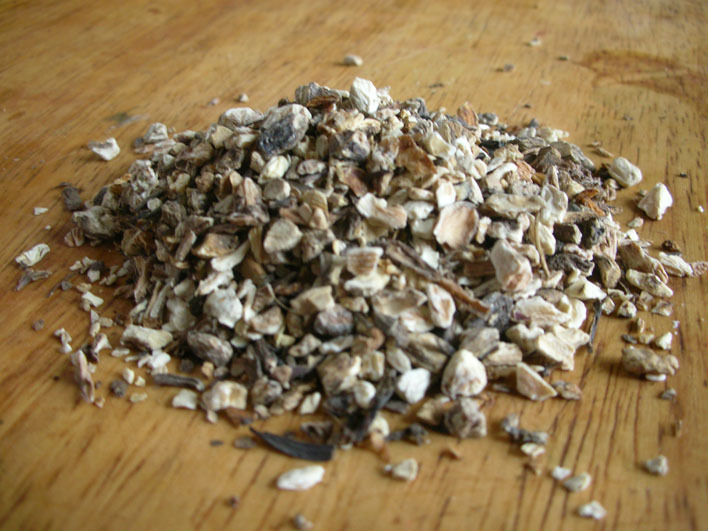 Most herbalists these days accept that Burdock is an adaptogen, an action that was not historically used in traditional Western herbalism. 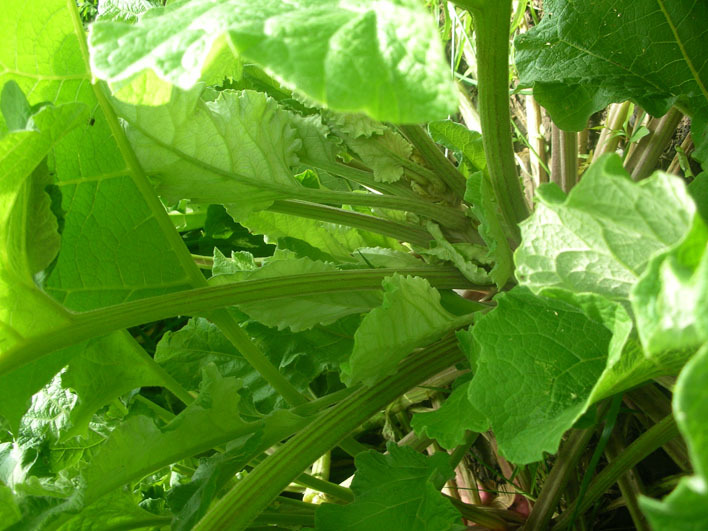 Burdock works strongly on chronic issues, especially when liver support is needed. 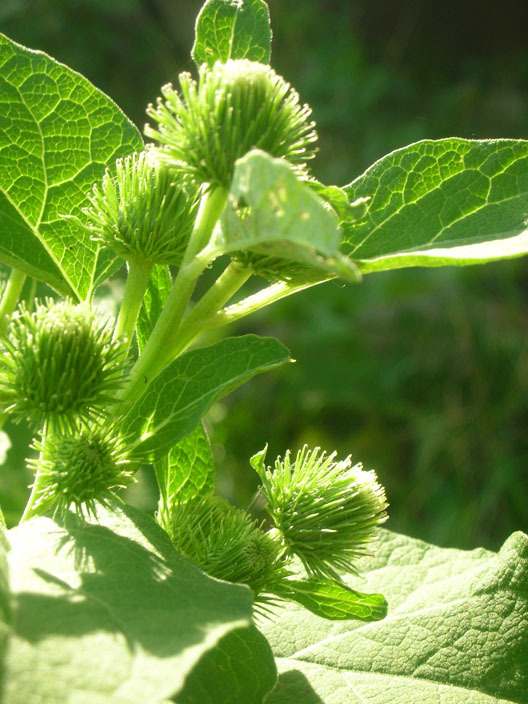 For instance, Burdock can help to clear acne, eczema and psoriasis but it can take several months to a year or longer before the effects are noticed. But, this slow action is strong and long lasting once it begins. The seeds are more for acute situations. Crushed and infused in an oil, they make a great tonic for dry, itchy scalps. My favorite part of Burdock; however, is his leaves. It is my number one go to for burn relief. Years ago I had read a story about how some of the Amish community were allowed to enter a hospital and use Burdock leaves along with a green salve for burn victims. The study compared their treatment to the traditional burn treatment. What the hospital discovered was that the burns covered with the Burdock leaves healed faster, were less painful and needed less care. When the Burdock leaves were removed from the burns, the skin stayed intact, unlike when regular bandages were removed. This gave the skin an opportunity to heal faster and left less scaring. A couple years ago, I got to try out first hand just how well Burdock works for burns. It was late in the evening and I was heating up a pot of water on the stove for some tea. A lid for a pan was sitting on the stove and without thinking, I grabbed the lid to move it to the counter behind me. Halfway around, I realize the lid was burning my fingers — it had been resting next to the burner and had gotten heated up. I set the lid down but immediately, my fingers turned a charred white from the burn. I ran them under cool water then proceeded to use my usual go-to burn relief herbs: vanilla extract, aloe, lavender essential oil. None of them were helping, in fact, I felt they were making the burn worse. The pain was intense. I recalled the use of Burdock leaves so I ran out into the garden with a flashlight to find me a leaf. Bringing it back inside, I used a rolling pin to break down the cells a bit then dipped it in the water I had heated for my tea, letting it steep a minute to further break down the cells. Once I removed and cooled it, I cut it into strips and wrapped it around my fingers. It was crazy. The pain was completely gone. 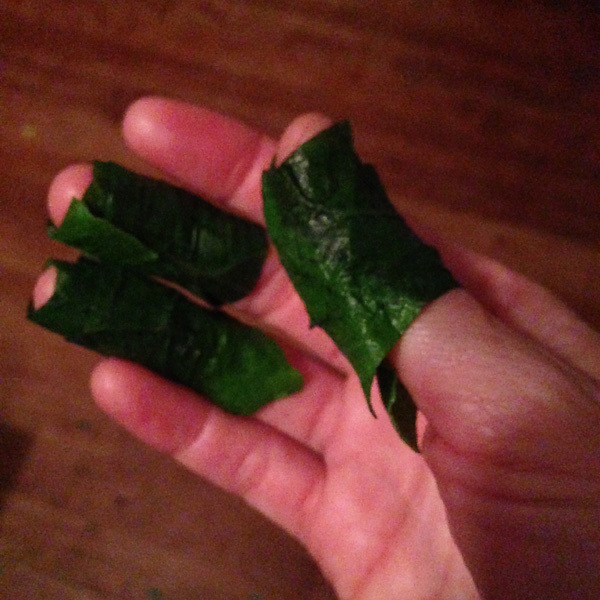 I left the leaves wrapped around my fingers for the night and the next morning, when I peeled them off, I expected to see blisters or dead skin falling off. Instead, I was amazed to see only a bit of redness where the night before, the skin looked charred and dead. 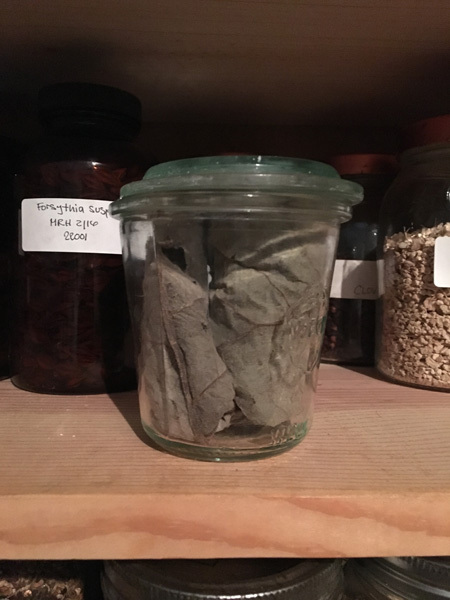 From that day forward, I have kept a stash of dried Burdock leaves in my apothecary. To dry them, I generally cut out the middle vein, then lay them flat on a screen or in a basket to dry. Once they are dry, I roll them up and stuff them into a jar. Once spring arrives, I compost them and rely on fresh for the remainder of the growing year, harvesting again in the fall to have on hand through winter. It’s also in my travel first aid kit. For dried leaves I simply soak in boiling water for about 5 minutes, remove with tongs and cool then use. 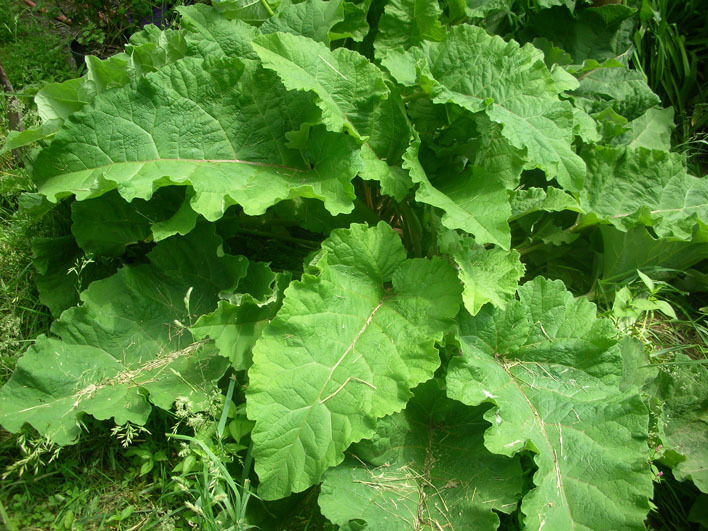 Burdock leaves are also great for strains and sprains and relieving inflammation. Wrap a sprain the same way I wrapped my burnt fingers. As a bonus, the leaves are also mildly antibacterial, making them usual for not only healing wounds but keeping them free from germs in the process. 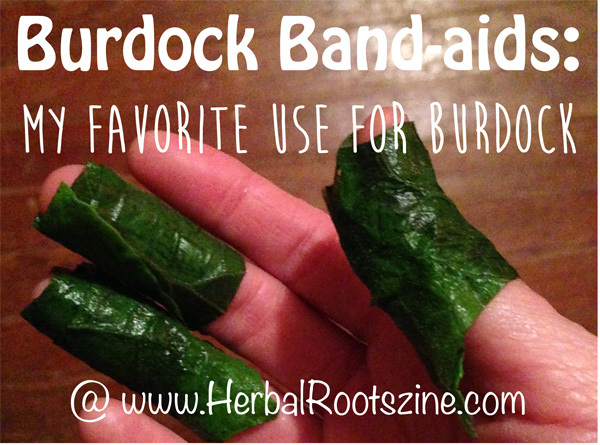 Do you use Burdock? If so, what is your favorite use for it? This entry was written on May 12th, 2017 by Test Account and filed under Uncategorized.